There is no accurate measure of the percentage of the population that votes Democrat that details how many people actively hate the United States and want the greatest Constitutional republic in history to be destroyed, and what percentage have been so completely duped into believing that Democrats and socialism are beneficial to their prosperity and well-being. Many voted for Obama on the foolish belief that they would get cheaper, even free, healthcare and education. Many voted for Hillary believing she would fight for the rights of minorities and women. The Left created the term “white privilege” as a way for Democrats to conceal their anti-American agenda by declaring Republicans to be racist against “brown people,” which is anyone not male of European descent. 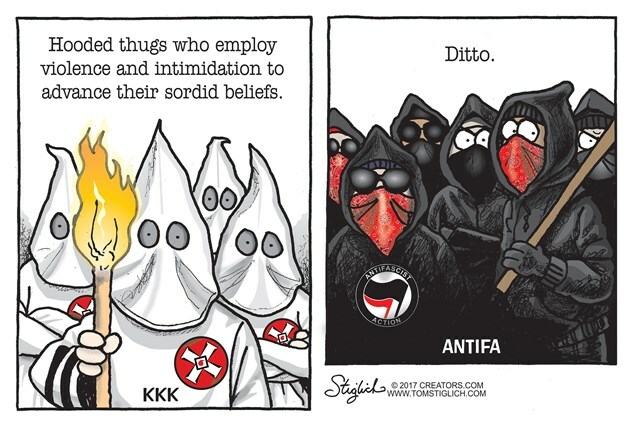 Their Nazi thugs of Antifa and BLM have been rioting in attempts to silence the moral majority. Social media of Facebook and Twitter are censoring conservative arguments to conceal the truth from their lemmings. They are instead promoting socialism that has killed more people in the 20th century through genocidal wars than in all the wars throughout history. Even though they are mostly atheists they are advancing the ideology of Islam as the best means of controlling the masses and tear down Christianity. Leftist myths such as Islam advancing civilization in their “Golden Age” are all easily dispelled if one reads and learns from history. Islam’s so-called Golden Age was in its first two hundred years in which they conquered Persia, North Africa, and Spain. Their citizens, all Roman descendants, continued to make civilized advances until they were completely subsumed by Islam which made them a backwards, ignorant, servile populace of worker ants whose only knowledge was of the Koran. The Left uses the ignorance of westerners who do not know Islam to import Islamists and inflict a new Jihad on Christianity. They count on the ignorant foolishness of good-hearted Christian dupes to assist them in overthrowing Christianity. Like Millennials duped into believing socialism is beneficial, Christians are as likely to lose their liberty and faith by voting for others to take them away and will then wonder how they came to grief. If you listen to liberals they think that racism, sexism, and bigotry have become popular, that the world is on the brink of nuclear holocaust, and that all life on the planet will end before the 22nd century all because of Trump’s election and the unleashing of American businesses. Trump undid Obama’s choking regulations and reopened coal mining that Americans need to have electric power. This didn’t create a new source of global warming, but denies foreign suppliers from selling Americans energy at cutthroat prices. Obama and his liberals are fuming and they take every opportunity to smear the president and slander his voters. Donald Trump could personally cure cancer and the headlines in the liberal media would be that Trump put thousands of medical researchers out of work. Everything he has done that is burying the decline into which Obama led the nation and turning it around into economic growth and prosperity is being demonized by the Left. The Mueller investigation is nothing less than the Democrat’s efforts to criminalize the election of Donald Trump. All this bogus investigation is doing is persecuting Trump supporters and attempting to set up a Democrat scam for the 2018 Midterms. Liberals call Trump Hitlerian because they do not recognize Nazism when they see it. They are taught falsely that Hitler was a far-right extremist ideologue when he was actually the farthest left following socialism to its ultimate degeneracy of genocide. Communist Russia and China did the same thing in the 20th century with the three of them accounting for some 100M-200M dead with most of them being civilians killed in their wars, starved, or rounded up and put in Concentration Camps they sometimes called “re-education camps” to be beaten into submission or exterminated. Those ignorant of history do not understand that the only difference between Communism and Nazism is their economic models, but socially they were the same. Just like these despotic regimes liberals today are tearing down statues of American heroes in order to destroy American history and rewrite it to portray America’s great leaders as villains. This is the way of leftists throughout history and has been exhibited in the revival of the Jihad in the Middle East and now is being brought to America by the same kind of leftists. Lucas’ Star Wars is an excellent depiction of WWII in a sci-fi/fantasy setting about how Hitler came to power, and it applies perfectly to Obama, not Trump. The only difference was that Obama could not muster the forces he needed to make himself supreme ruler. But he did rally enough fanatics to be his army of rabble rousers and rioters as well as embedding covert operatives throughout all levels of government to sabotage Trump’s efforts to repair the nation. 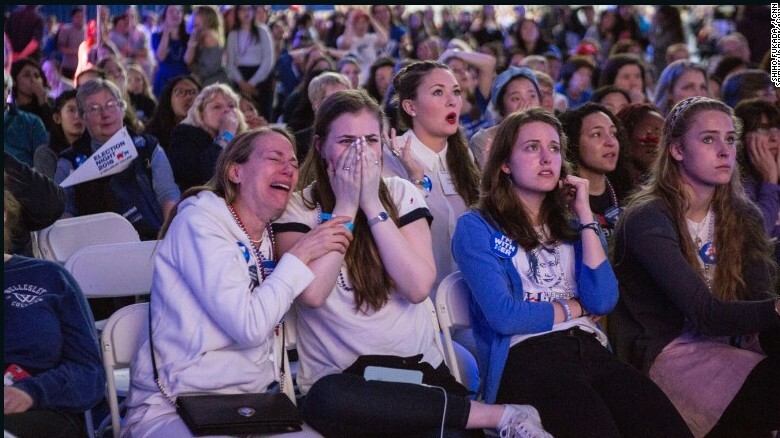 The election of Donald Trump to the presidency and his undoing of Obama’s socialist agenda has rendered the Left depressed and enraged. As America rises once again and Trump works to unseat RINOs who work with Democrats to import cheap labor for their own benefit, leftists take any action, legal or illegal, to stop him. As the phony Russian collusion investigation continues to take its toll on patriotic supporters of Trump, the Left, with the help of these RINOs, is blocking the investigation of the crimes of Obama and Hillary in spying on the Trump campaign. America has truly become a divided nation as it was before the Civil War with Democrats once again fighting to retain their imported welfare voter slaves. 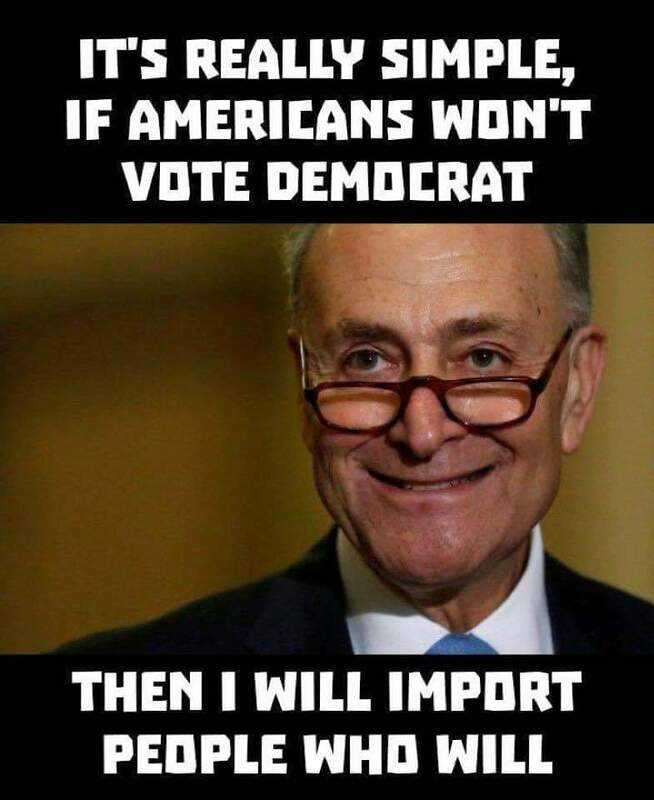 Only a Republican Supermajority will have the power to unmake the Democrat’s laws that allow immigrants to enter America illegally, become a burden on taxpayers, be free to commit crimes, not pay taxes, and illegally vote to overthrow the choices of rightful American citizens. America may have been built by immigrants from Europe and elsewhere, but those were all legal immigrants. Government believes the nation needs immigrants to keep up the volume of the low-income workforce, but this is false. Democrats are forcing wages down by bringing in millions of unskilled laborers to replace citizens they believe feel they are too good to do labor. 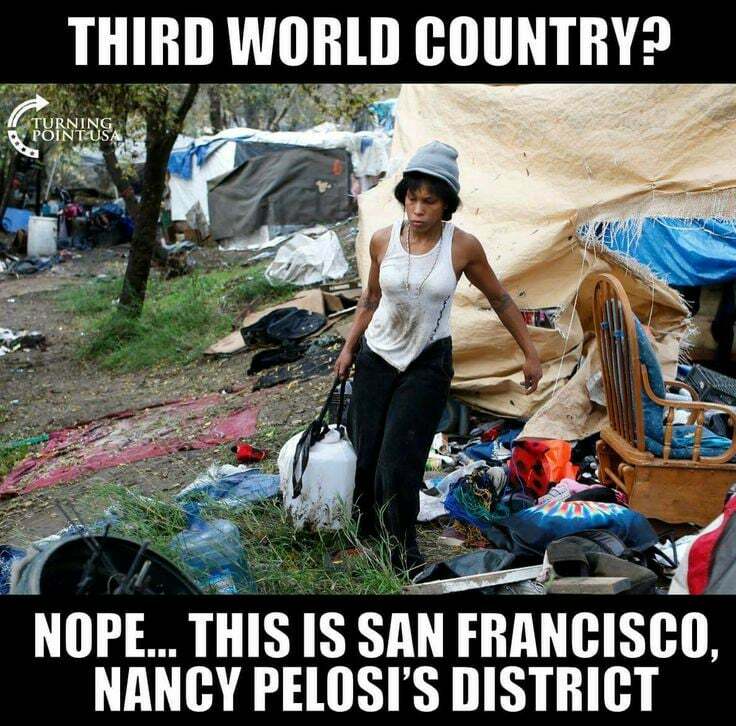 The problem for America is that those who enter the country illegally drain resources rather than add to them, and because they hate America and are intent on stealing from Americans, they will eventually subsume American culture to replace it with the corrupt government they fled, which is the ultimate in liberal insanity. Righteous conservatives must not compromise with leftists or try to appease them just because they paint the righteous as evil. Only foolish people want to prove them wrong by yielding to their demands that are always detrimental to the nation. They cannot be dissuaded and seek only the destruction of American Christian liberty. They call conservatives racist and demand Republicans give away their power and rights to prove they are not racist. Following their lead is the pinnacle of foolishness. Never allow liars and stupid people to lead! Democrats lie when on campaign and pretend to be the same as conservatives advocating for a better America, but always vote to take away citizen’s rights, tax them into poverty, and silence them into submission. The Left is everything they claim the Right to be and only people who are easily repeatedly fooled still believe in them. This entry was posted in Politics and tagged Anti-America Jihad, Christianity, Donald Trump, Genocides, Liberal Depression, MAGA, Millenials, Obamagate, Socialism. Bookmark the permalink.